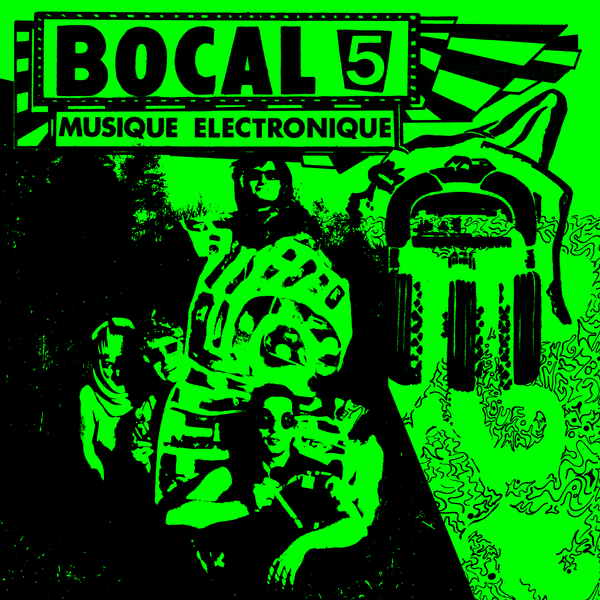 Bocal 5 were a No Wave art group composed of Doc Pilot (synths, vocals), Zouka Dzaza (bass), Florian Guillou (synths), Mickey Lepron (electronic drums, bass) and Evy Tinguette (lead vocals). The project was born in November 1980 in Tours, France as the brain child of Doc Pilot. Between 1981 to 1986 Bocal 5 recorded one 7” single and a cassette-only album before taking a year off in 1984 to launch X-Ray Pop. Influenced by Erik Satie, Brigitte Bardot, Suicide and Young Marble Giants, they call their music “minimum naive new wave. “Musique Électronique” is a 19-track compilation of songs recorded across 1983, most of which have never been released on vinyl before. 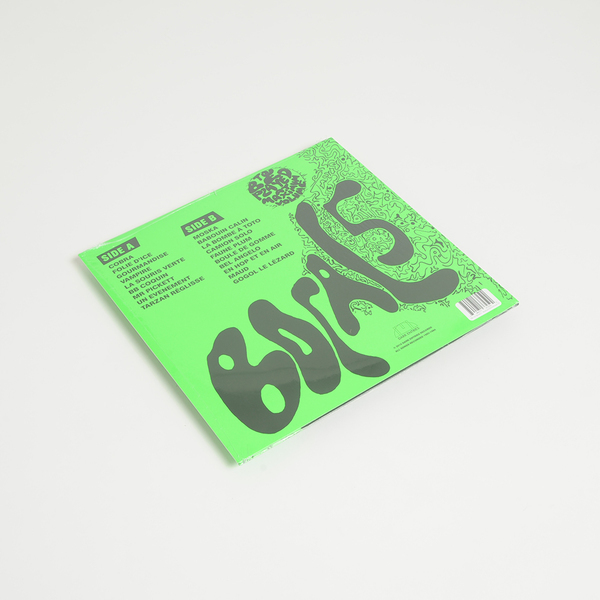 16 tracks appeared on the “From Bocal 5 To X-Ray Pop” album originally released on cassette by Sound of Pig in 1984. Both tracks from their debut 7” originally released in MB5 1984 are included and show a progression in sound as a result of newer recoding equipment and techniques. Also present is a song from the tape compilation “Andreas N°3 L’Animal” released by Fraction Studio in 1984. Armed with a Korg 770, MS-10, Prophet Pro-One, Roland TR-707 and TB-808 they crafted their own brand of quirky synthesized electronic pop.